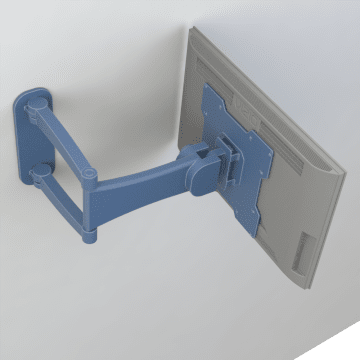 Larger than monitor mounts, these TV mounts keep your TVs accessible when you need them, but also keep them out of the way to help protect them from damage. 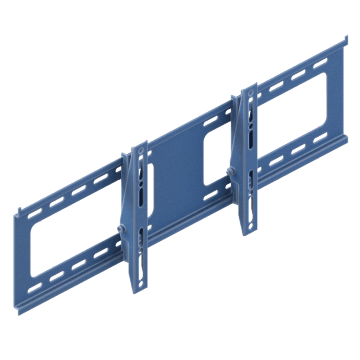 For small work areas, these space-saving TV mounts keep the TV close to the wall, while still allowing you to install it at the right height for easy viewing. With long, movable arms, these wide-angle mounts rotate your TV to whatever position you need. 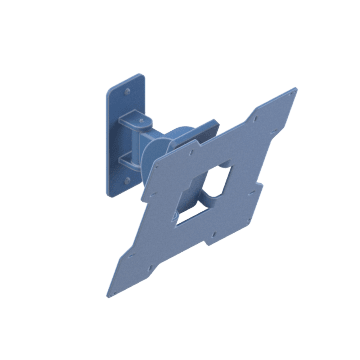 Also known as articulating mounts, they are an excellent choice when multiple people may be using the same TV for surveillance, as these mounts move and elevate monitors for better visibility by a large group. 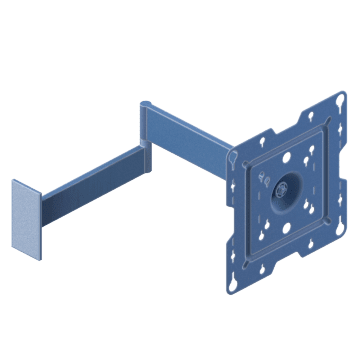 Great for areas requiring a large number of employees or customers to see the TV, such as in a board room or retail space, use these high-angle mounts (also called tilt mount) to install the TV high on a wall and then tilt downward so it can be viewed at an optimal angle. Tilting the TV also helps reduce glare. Mount your TV to a ceiling when your room has wall surfaces that can be difficult for mounting, such as brick or concrete. 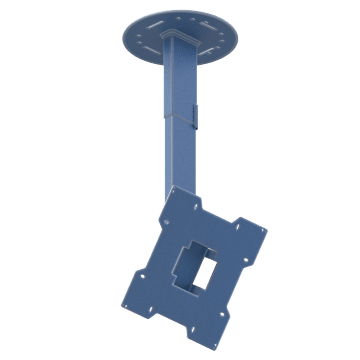 These mounts and extension columns are an excellent choice for use in large rooms or other spaces that require people to view the TV from a long distance.